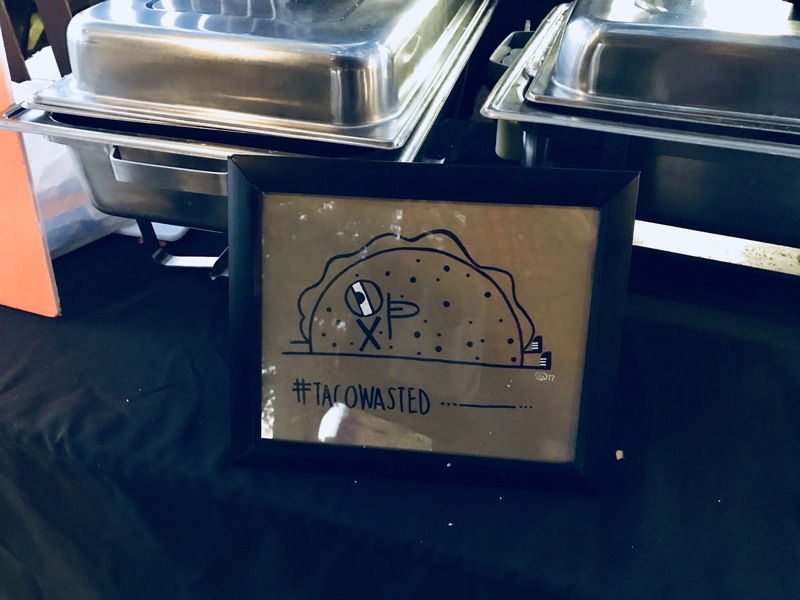 This past weekend, I got wasted…Taco Wasted that is. Who doesn’t love a good taco? 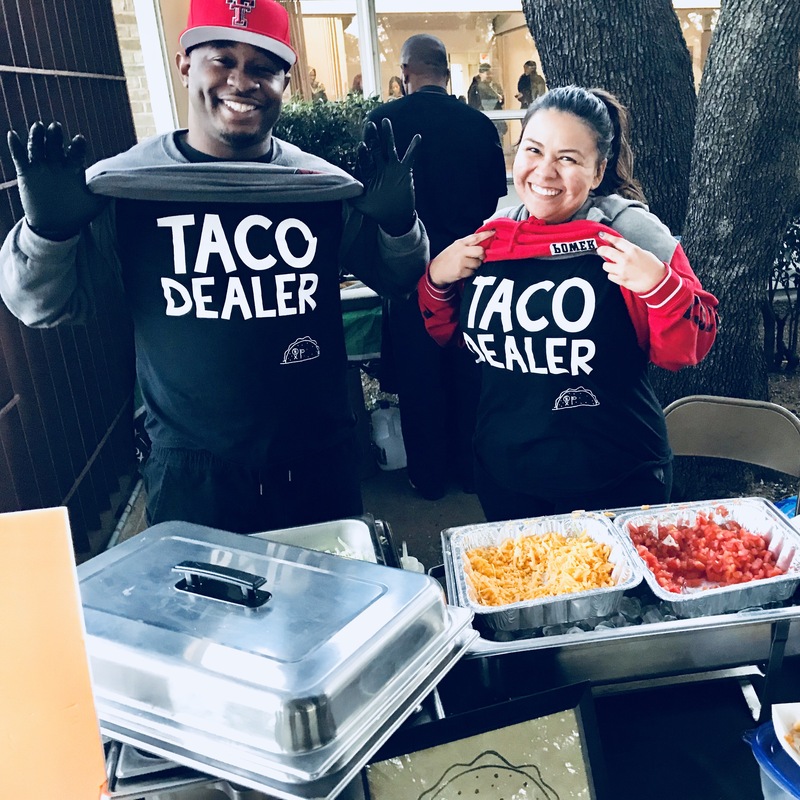 Living in Fort Worth there are taco places around every corner: Torchys, Salsa Limon, Taco Heads, Taco Diner, Velvet Taco just to name a few. 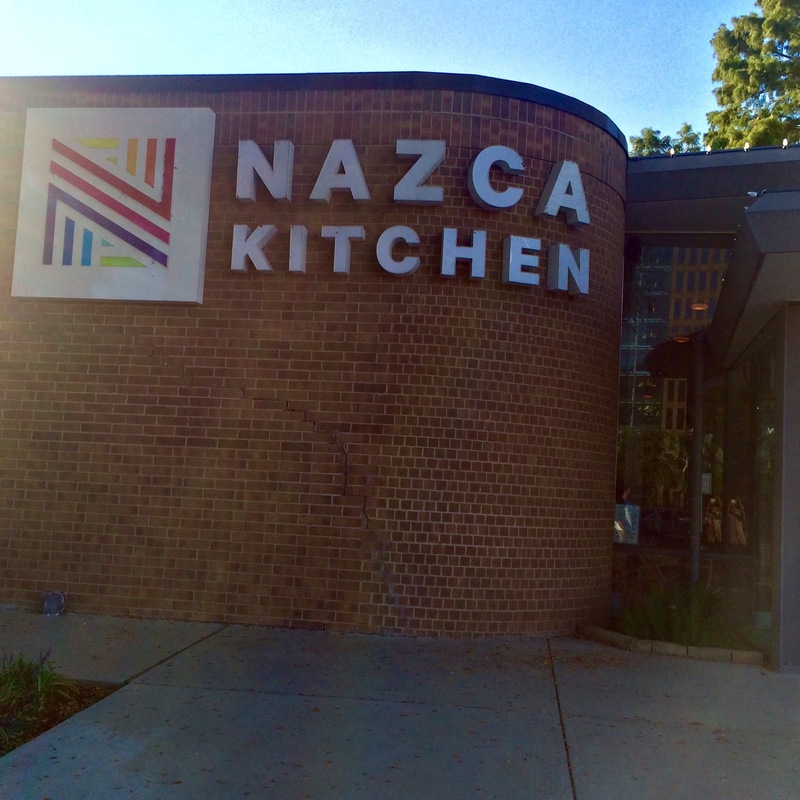 But Taco Wasted is a popup Taco spot currently residing on the Dallas side. 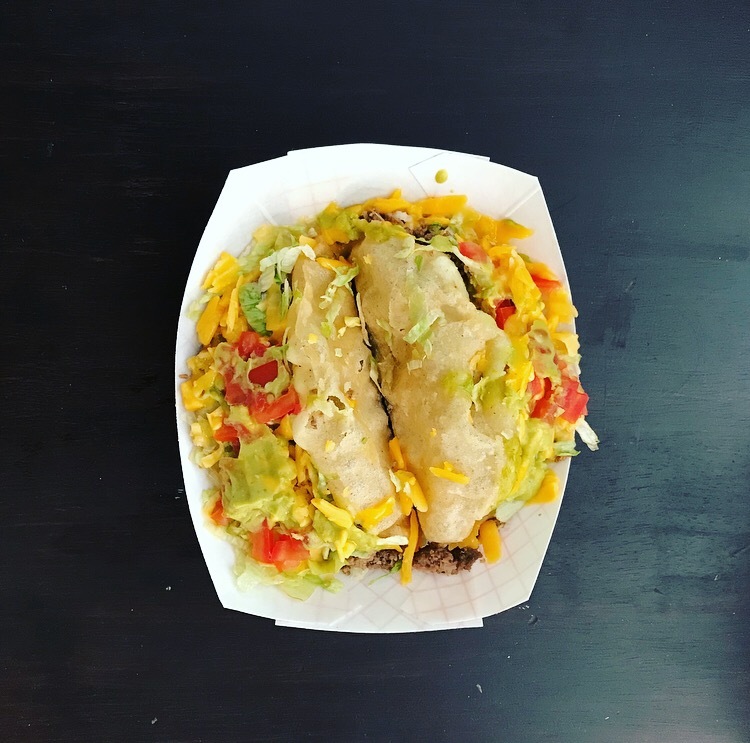 Owner Vincent Meeks has broken a very different mold introducing something called a puffy taco. Not only is it a unique taco-sperience (yes I just made up a word) it’s also a very tasty taco-sperience!! 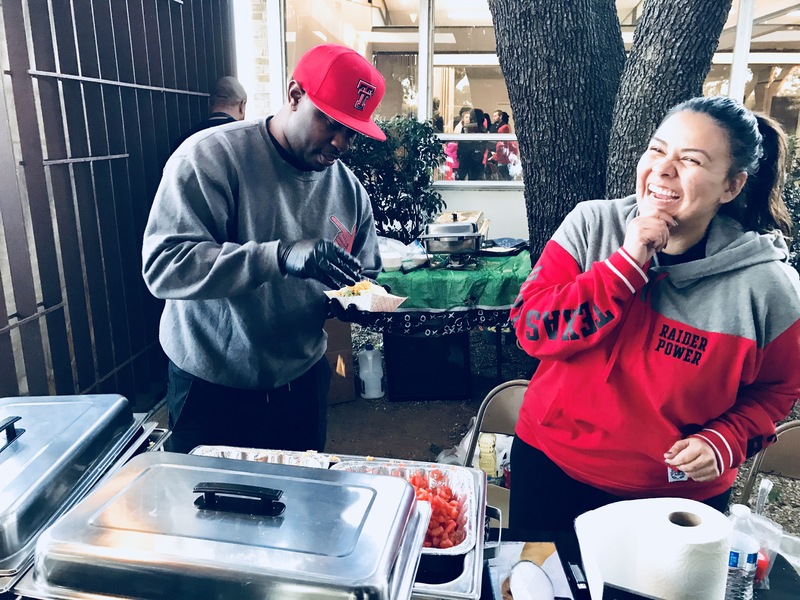 Hubby and I headed to a local church Fall Festival and got to enjoy first hand some delicious taco-ness. It started off with an airy crunchy puffy taco shell housing seasoned ground meat, lettuce, tomatoes and cheese. Don’t let me forget to mention it’s also topped off with a perfectly spicy cream sauce that builds beautifully with every bite. We thought we’d be satisfied with two but we both ended up ordering two more. 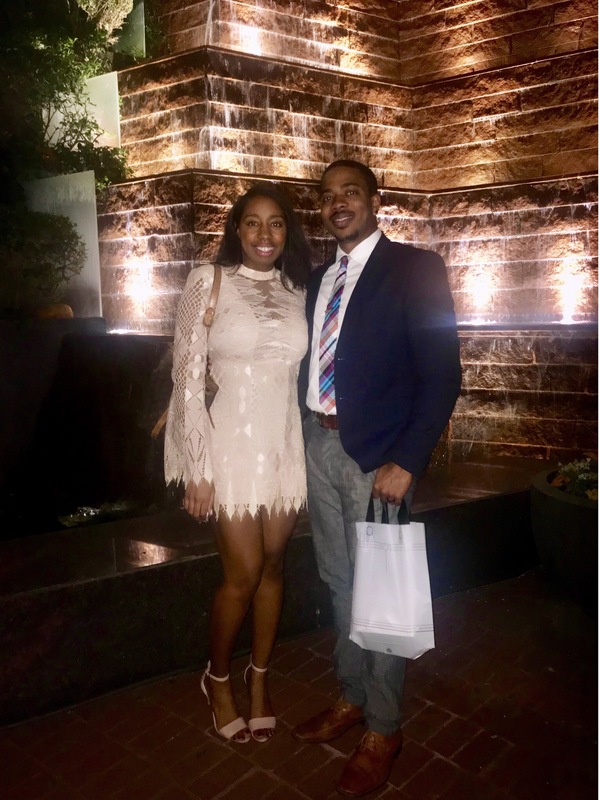 Every year me and hubby are blessed with the opportunity to have a date night celebrating our anniversary. It’s one of the few times we get all dolled up and eat some delicious food prepared by anyone else. This go round hubby found a spot in Dallas that serves its steaks below the surface…literally. Dakota’s Dallas. This low key joint features dim lighting and a suave personality. It’s so unassuming from above, but once your inside the walls seem to close in on you and it cozies up the evening with a fire pit and elegant outdoor waterfall as the surroundings. The food is what we came for so let’s dig in! 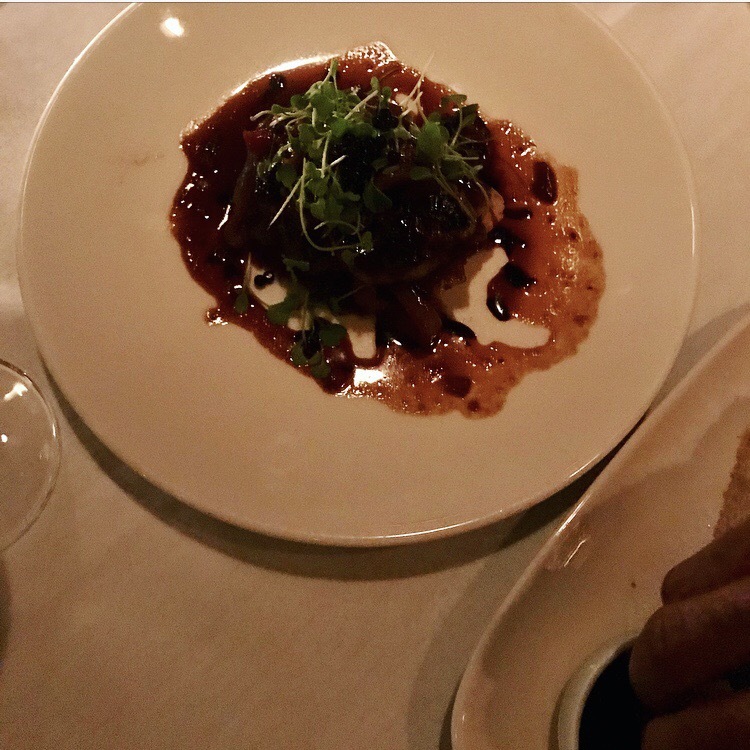 To start we chose something off the beaten path, a Pan Seared Hudson Valley Foie Gras. It’s a duck liver with grilled apricot jam and sautéed onions over bread (the fancy menu way to say it is toasted focaccia and grilled apricot duck demi). Three words…DE-LIC-IOUS! This goes on my “food items I’d rather not share list”. I don’t even like liver, but this totally caught me off guard. The liver melts when eaten and has that beautiful earthy tone that married perfectly with the onion. The surprising note of apricot sweetens it the appropriate amount without overpowering the dish. 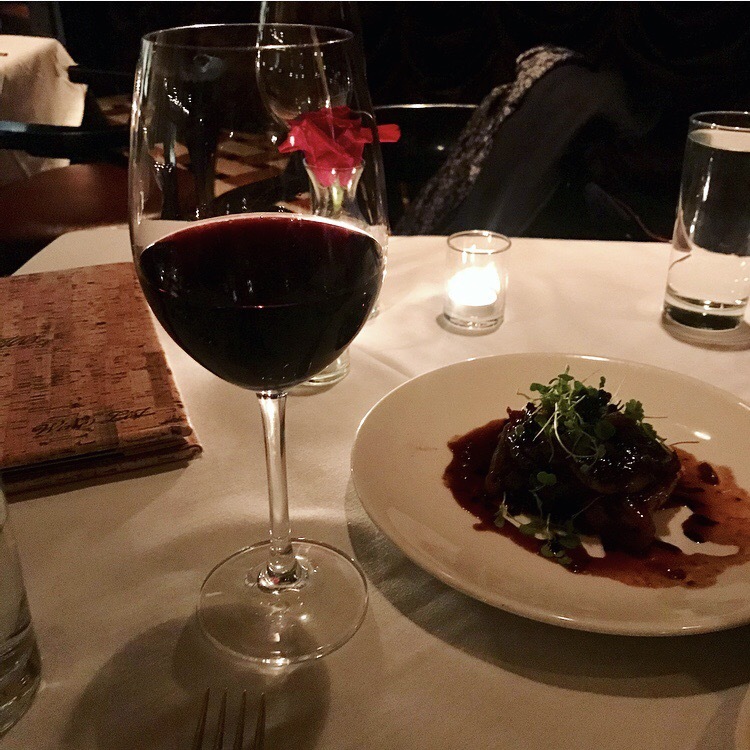 Then for my entree I enjoyed a medium filet mignon steak. 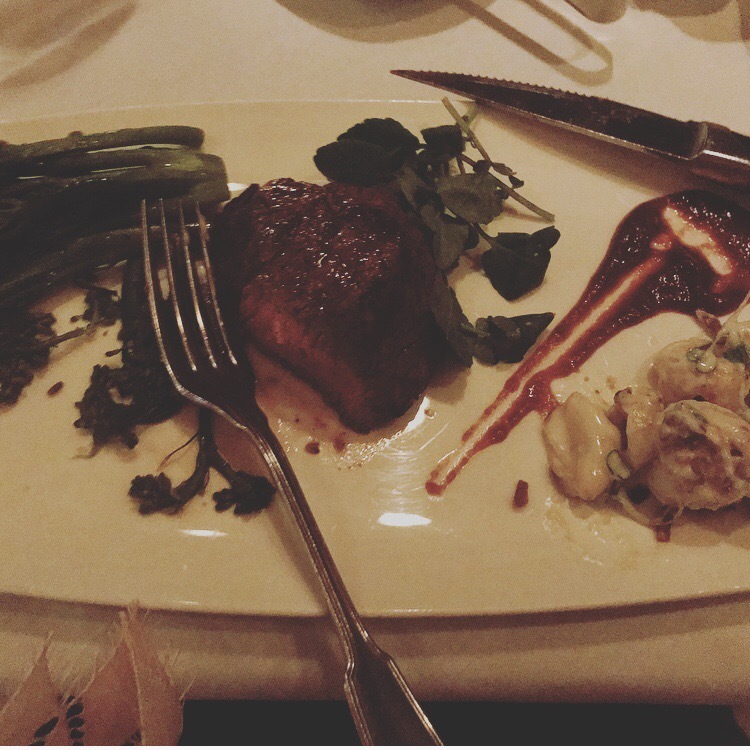 Ok ok ok…sooooo I took a late pick on this because I forgot about pictures momentarily lol (For 9 months I stopped eating steak because I could only have it well done and that’s just not how I enjoy steak). It was seasoned and cooked perfectly. Again, a melt in my mouth type experience. For sides we went with a creamy gouda mac n cheese and sautéed broccoli. Gouda encorporated into mac n cheese is amazing because it’s so smooth and rich like all tasty goodness should be. 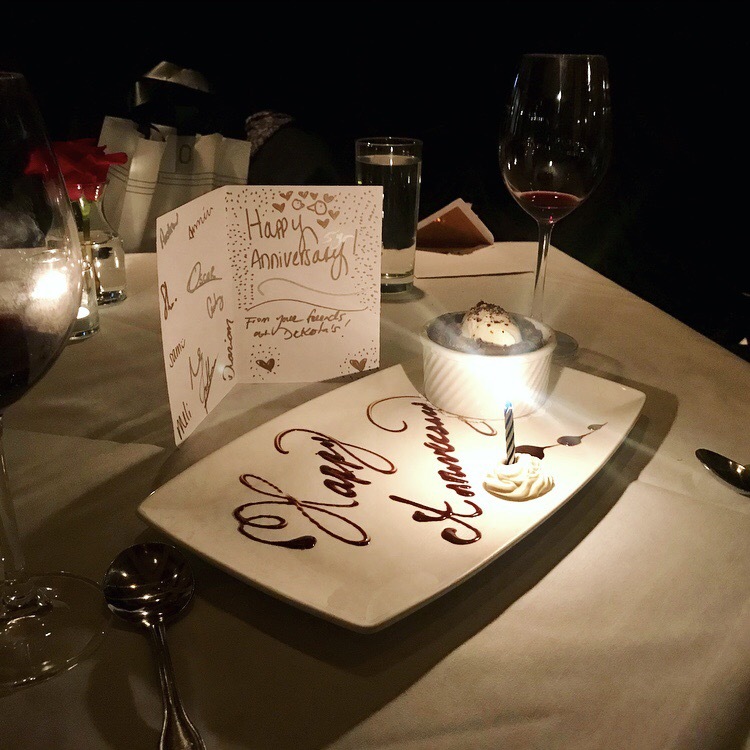 To finish off the night Dakotas sent out a complimentary dessert for our 5 year celebration. Since hubby chose the app, I got to choose dessert. I went with the Molten Peanut Butter Cake. Traditionally I don’t care for peanut butter, but in this case I made an exception due to the fact that also in the molten center was gooey caramel, which I’m a sucker for. The cake was warm, moist, and alongside a spoonful of cool vanilla gelato, one forgets there’s even peanut butter in there lol!!! What a lovely finish to a lovely evening. A cool underground romantic spot with more melt in your mouth food than I was prepared for. The only thing that topped this event was getting to share it with my best friend 😊 Until next time, happy eating. I know I know, we’ve been eating a lot of Dallas food lately, but this one was a surprise birthday gathering for my sister. After tasting the food I deem it worthy of the hour long trip it takes us Fort Worthians to get there lol!